The dynamics of very simple systems can lead to complex paths at long times. For example, the trajectories of a particle in a stadium shaped billiard are unstable and they eventually fill all of the billiard. 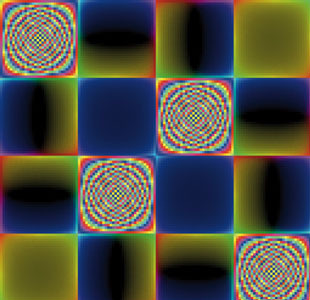 This system has a quantum analogue: a wave propagating inside a cavity of the same shape. The semi-classical approach allows the analysis of the stationary modes and their localization properties by taking into account the long-time properties of the classical system. These kinds of simple mathematical models allow us to understand various physical systems, such as electrons in mesoscopic two-dimensional systems, propagation of light in optical fibers, acoustic cavities, or propagation of seismic waves. 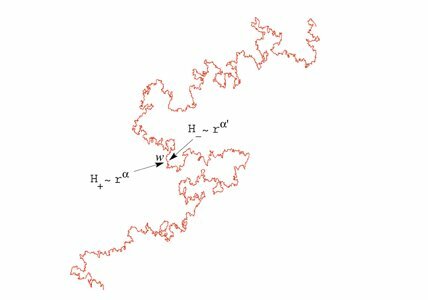 From a theoretical point of view, for systems with an infinite number of degrees of freedom, the renormalization group turns out to be an invaluable tool for rigorous analysis of perturbative quantum field theories. This vast field of research is thus on the border between mathematics and physics, with many and varied applications, ranging from turbulence to quantum decoherence. Cutting a graph into a tree. Statistical physics involves a precise counting of the states and configurations of a system, and thus is intimately related to combinatorics. The link between critical phenomena on 2d regular lattices and their “gravitational” version on fluctuating lattices is the key to the solution of a number of problems in statistical mechanics (polymers, hard-core particles) and in mathematics (three-color problem, meanders). This relation has been revisited in a rigorous fashion in the continuous probabilistic approach to quantum gravity. The study of the laws obeyed by random matrices allows us to discover new invariants of enumerative algebraic geometry which include and generalize some invariants (Gromov-Witten, knot, etc. ), and more generally to explore the asymptotic expansion of integrable systems. The combinatorial approach is an alternative to traditional approaches like field theory and matrix models. For example, cutting the graphs into trees is a powerful way to determine the statistics of internal distances on random lattices. Variations of the potential close to a planar polymer. Integrable systems possess many conserved quantities. They are useful for studying non-perturbative phenomena in systems which are subject to strong statistical or quantum fluctuations. Their analysis uncovers remarkable algebraic and geometric structures, with applications ranging from physics to pure mathematics. This is equally the case for conformal field theories, which are central to the construction of string theory and which are also the perfect tools for studying critical 2d statistical systems or 1d quantum systems. They are also used to characterize certain stochastic and fractal growth processes, that are universal. Integrable models also occur in the study of supersymmetric gauge theories, where they are used to explore the strong coupling regime and to prove that these theories are dual to string theories in curved space-time. 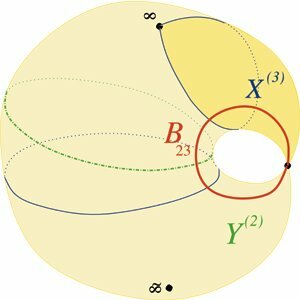 Riemann surfaces and instanton computations. The de Broglie wavelength of a particle moving in a region of high energy density or near a black hole is very large, and can be of the same order as the curvature radius of the spacetime. In such circumstances the classical laws of gravity are altered by quantum effects. The best candidate for a quantum theory of gravity is string theory, in which the particles are replaced by extended objects. Our researchers study string theory in various geometric configurations, both by using algebraic and differential geometry techniques to study its compactifications and by using supergravity techniques to attack longstanding problems like Hawking’s information paradox or the microscopic origin of black hole entropy. They also use the gauge/gravity duality to study strongly-coupled systems similar to the quark-gluon plasma produced at the LHC or to those appearing in condensed matter physics.